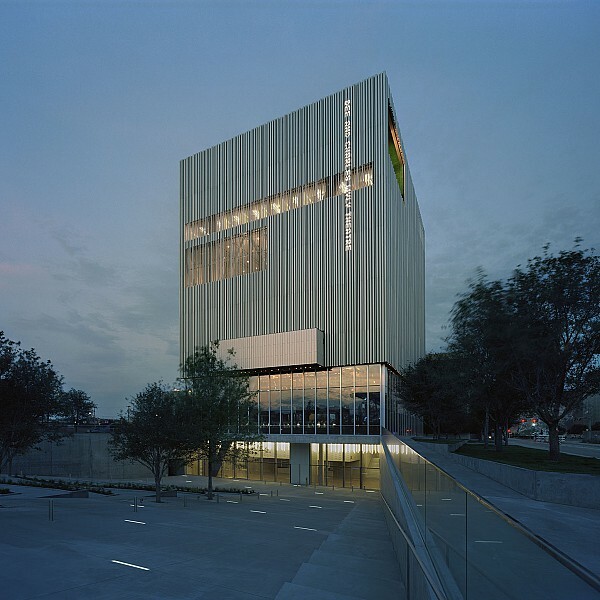 Description: The Charles and Dee Wyly Theatre, part of the Dallas Center for the Performing Arts, encompasses approximately 75,000 sf and seats up to 800 people. It is the first-ever performing arts facility with a vertically stacked program in which non-performance spaces (i.e., rehearsal, costume/makeup rooms, offices, lobby) are located above or below the theatre. It is also one of the most flexible performing arts venue designed to date, with components that can be moved hydraulically to create different stage and seating configurations (i.e., balconies, stage, proscenium). Retractable exterior glass walls provide both indoor and outdoor theatrical experiences. The design of the theatre demanded that the MEP systems be as flexible as possible. As stage and seating layouts are rearranged, the MEP systems can move with them. This flexibility is achieved by underfloor air distribution plenum, which utilizes a displacement ventilation concept. Energy-conserving strategies include a radiant floor system, heat recovery system, and low-temperature and low-volume distribution for support areas.